GrubHub notched a key legal victory in a San Francisco federal court in February. Cucumbers and a ride home from the bar may not appear to have much in common, but a judicial test involving cucumber farmers is a key reason that startups like Uber Technologies Inc. have been able to classify workers as independent contractors. Developed in 1989 during a lengthy trial over the treatment of share farmers hired by family-run S.G. Borello & Sons Inc., the test handed GrubHub Inc. GRUB, +2.14% a win in federal court earlier this year that also serves as something of an incremental victory for other tech outfits seeking to keep costs down by classifying workers as contractors instead of employees. But the cucumber test that determined GrubHub’s fate may change this year as the California State Supreme Court is considering a contractor versus employee classification dispute. As more Americans turn toward this new sort of work, court rulings such as the one involving GrubHub will affect a much larger group of laborers. Classifying workers as contractors saves companies mountains of cash in unpaid payroll taxes, federal taxes and benefits, among other costs; a decision against GrubHub, which employs hundreds of contractors around the country, could have cost the company dearly. A 2015 estimate from tech blog Recode ballparked Uber’s cost at reclassifying just its California drivers at $209 million, or about 10% of its revenue at the time. GrubHub’s legal win came in the form of a 33-page judicial ruling Feb. 8, which said the online ordering and delivery platform correctly treated former contractor Raef Lawson as such while he delivered meals on the company’s behalf. Lawson said he should have been an employee and entitled to the protections and benefits, such as workers’ compensation, that entails. Judge Jacqueline Corley used the cucumber farmer case — known in legal circles as the Borello test, developed by the California Supreme Court in 1989 — as the crux of her opinion in favor of GrubHub’s argument. Under the cucumber farmer test, a worker’s status as an employee or contractor hinges on how much control the employer has over the worker while on and off the job. But the test is an unwieldy one, leaving many of the factors up to how much weight a particular judge wishes to give them, University of California Hastings College of the Law professor Veena Dubal said. While the Lawson bench trial was a clear win for GrubHub, the ruling does not put a stop to future challenges to GrubHub or competitors such as Postmates Inc. And at the same time, it doesn’t create precedent the same way a circuit court or Supreme Court case would. Despite clear differences in how a trial might play out, Uber, at least, was paying close attention and sent at least one of its employment attorneys to GrubHub’s court dates to take notes, even as the company was battling Alphabet Inc.’s GOOGL, +1.29%GOOG, +1.47% Waymo in court at the same time. There was a good reason for others in the gig economy to watch the trial closely: Often when plaintiffs notch a win, forcing a company to classify them as employees, the company will use the resulting decision as a playbook to avoid such classifications in the future. To wit, after FedEx Corp. FDX, -0.50% lost a 2014 driver lawsuit, the company made changes to its operations to ensure the workers would be considered contractors and not employees, Dubal said. The fight over employment classification is not a new one, especially in the taxi industry, with periods of aggression and detente since the 1970s. The employee-contractor dispute is one of the reasons, for example, why taxis in New York City are only available to hail on the street; doing so removes a level of control that cab companies previously had exerted over drivers when dispatching them to fares. But thus far, there is no law of the land, or even of the state, when it comes to ride-hailing services. 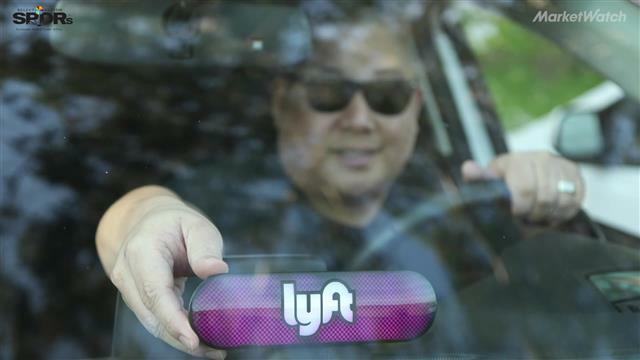 In part, Dubal says, powerful arbitration agreements have prevented cases involving ride-hailing and other similar cases from progressing to the state or federal Supreme Courts (though the federal bench is reviewing arguments over how binding arbitration should be in cases that may be eligible for class-action status). In California, a key case to watch involves Dynamex Operations West Inc., which will be heard by the state Supreme Court this year. As part of the case, the court is eyeing a new standard to replace the cucumber test to determine what constitutes an employee, which could have massive implications within the nation’s largest economy. The market’s reaction to GruhHub’s victory in the civil action showed how important these decisions can be for companies that rely on independent contractors. Investors sent GrubHub stock soaring more than 27% on the day the court released its opinion; in the month since, GrubHub stock has gained nearly 49% as the benchmark S&P 500 index SPX, +0.45% rose 1.7%.